A book company said Wednesday that it will release on September 11 a firsthand account of the raid that killed al Qaeda leader Osama bin Laden. Christine Ball, director of marketing and publicity for Dutton, a subsidiary of Penguin Group USA, said the book was written by a Navy SEAL under a pen name. The book is entitled "No Easy Day: The Firsthand Account of the Mission That Killed Osama bin Laden." 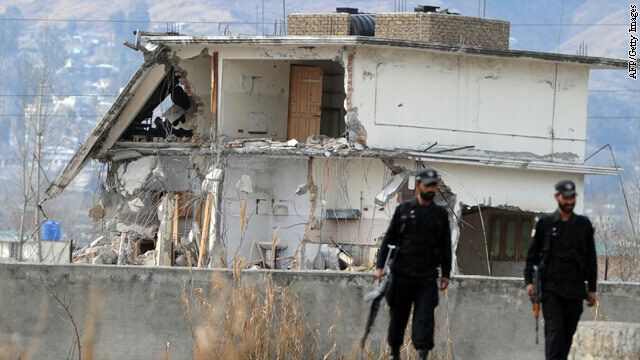 About two dozen U.S. Special Operations forces and two helicopters were involved in the raid early May 2, 2011, in Abbottabad, Pakistan, that killed bin Laden. It's a fold-up pamphlet that any U.S. service member in Afghanistan can stick inside a uniform pocket and forget, or perhaps re-read often enough that it just might save their lives if they are attacked by uniformed Afghan personnel. 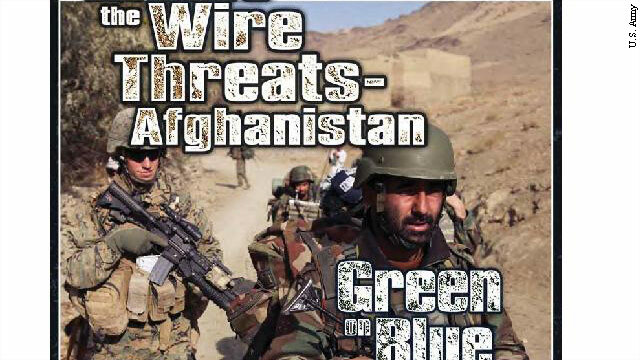 The title "Inside the Wire Threats - Afghanistan Green on Blue" says it all. The number of U.S. and coalition troops killed by Afghans who turn their weapons on coalition forces is at an all-time high. The U.S. military says it's doing everything it can, from increased security measures to improved training, to help troops respond more quickly. The pamphlet, which troops started to receive in February, is marked for "official use only" to ensure it is not distributed and read by the public, including the Taliban. An Internet outage and a hurricane threat led to a 24-hour delay and then outright cancellation of a pretrial hearing for five high-profile terrorism suspects detained at the U.S. military base at Guantanamo Bay, Cuba. A Pentagon official said all court events were canceled and everyone was being flown back home as Tropical Storm Isaac churned in the Atlantic, threatening to become a hurricane. Maximum-security detainees are housed in hardened buildings that will have no problem surviving a hurricane, the official said. Minimum-security prisoners were being moved to harder buildings. Sirens blared Wednesday as the U.S. military base went into readiness mode. 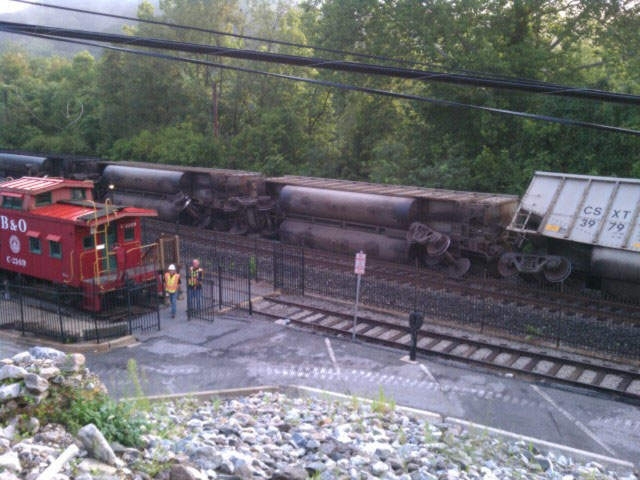 A train that derailed near Baltimore on Tuesday damaged fiber-optic lines and temporarily disrupted Internet service at the U.S. naval base at Guantanamo Bay, Cuba, delaying the trial for Khalid Sheikh Mohammed and four others facing terrorism charges this week, a base spokesman said. The facility lost about 50% of its connectivity, which is serviced by satellite downlink locations in Maine and Maryland, according to Capt. Robert Durand. A spokeswoman for Verizon Communications Inc., which maintains and runs the fiber optic line for the military, said service had been restored within 24 hours of the incident. 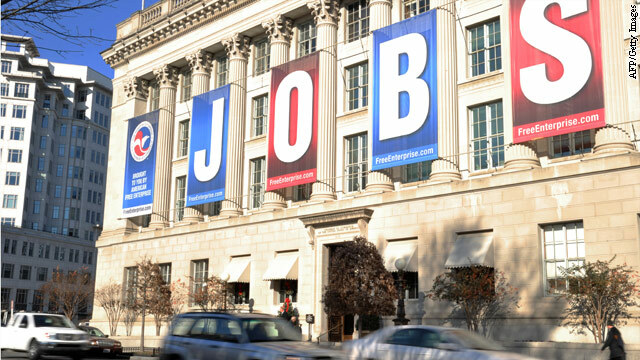 A jobs sign is seen on the front of the US Chamber of Commerce building in this December 13, 2011 file photo in Washington, DC. As Russia finally joins the World Trade Organization, U.S. business leaders are warning Congress that American companies could be left in the dust as other countries move in to take advantage of Russia's lower trade barriers. "The whole world is ready - except the United States. Until Congress approves PNTR (permanent normal trade relations legislation) with Russia, Moscow will be free to deny the United States the full benefits of its reforms," said a statement from U.S. Chamber of Commerce President and CEO Thomas J. Donohue. Congress broke for its August recess without passing PNTR legislation. The Chamber and other business organizations are calling on legislators to pass it when they return in September. The government has asked an appeals court to allow the trial against Maj. Nidal Hasan to move forward after a stay was issued last week amid a dispute about the beard the Army psychiatrist grew while awaiting trial in the 2009 Fort Hood killings. 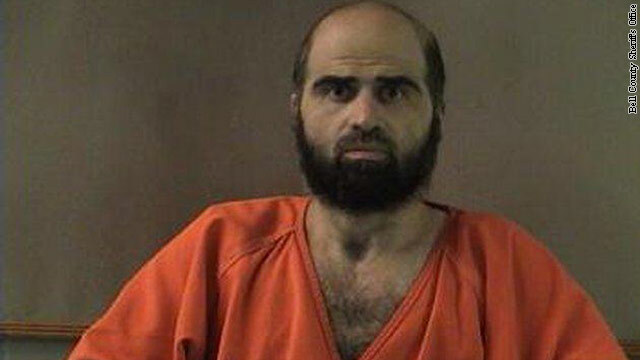 Hasan's court-martial had been scheduled to start this past Monday at Fort Hood, in Killeen, Texas, where he is accused of killing 13 people and wounding 32. The presiding judge, Col. Gregory Gross, had threatened to order him forcibly shaved unless he got rid of the beard, which is against Army regulations. The government's response to the stay ordered by the U.S. Court of Appeals for the Armed Forces cited those regulations and stated the judge's actions are the "least restrictive" means to ensure "that a military trial proceeds without a distracting and disruptive sideshow." 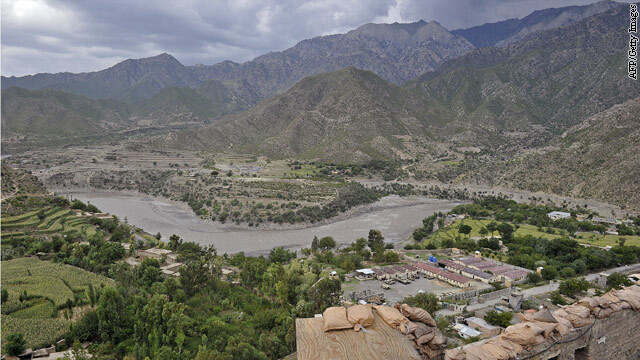 A view from the top of the hill at the Outpost Monti in Kunar province. Maulawi Nur Mohammad was killed in an airstrike in Kunar province. A senior Taliban leader - possibly the same man who allegedly helped al Qaeda chief Osama bin Laden escape Afghanistan after the U.S. invasion in 2001 - was killed in a NATO airstrike this week, the International Security Assistance Force announced. In a statement Monday, ISAF said Maulawi Nur Mohammad, also known as Turabi, was among "dozens of heavily armed insurgents killed in a precision airstrike" in Kunar Province. A man of the same name was instrumental in helping bin Laden and current al Qaeda leader Ayman al Zawahiri escape from Tora Bora in December 2001, according to testimony from a detainee at Guantanamo Bay. Mohammad served as the Taliban's shadow governor for the remote Chapah Darah district, where he was observed by Afghan and coalition forces with a "large group of heavily armed insurgents," ISAF said. He was responsible for planning and conducting all Taliban activity in the area against coalition troops. 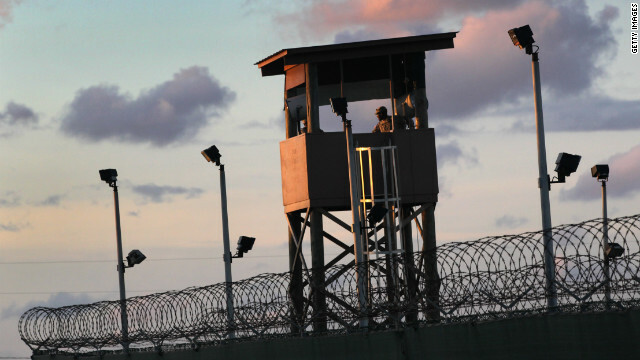 According to files leaked to and published by WikiLeaks, Guantanamo detainee Harun Al Afghani told interrogators he had met Mohammad about 10 months after the battle in Tora Bora. It was then that he learned of Mohammad's role - along with 40 to 50 of his men - in bin Laden's escape. It's a frightening scenario: American troops – backing their Japanese allies – drawn into a conflict with China. And fighting over nothing more than some uninhabited islands and a few rocks. Senkaku is privately administered by the Japanese, but the Chinese claim they are the rightful owners. While officially neutral, the US defense treaty means it would have to back Japan in a military confrontation over these islands. As the U.S. and Japan begin military exercises in the region, tension is rising. Chris Lawrence reports.